October 2018 it was wonderful to host our friends from Ejau, Malaysia at our MK22 UNconference for three days in Perth, Western Australia. Sharifah, a retired teacher and facilitator at Ejau joined us with two student participants. The UNconference participants spent three days focusing on WASTE, WATER AND PLANTS. 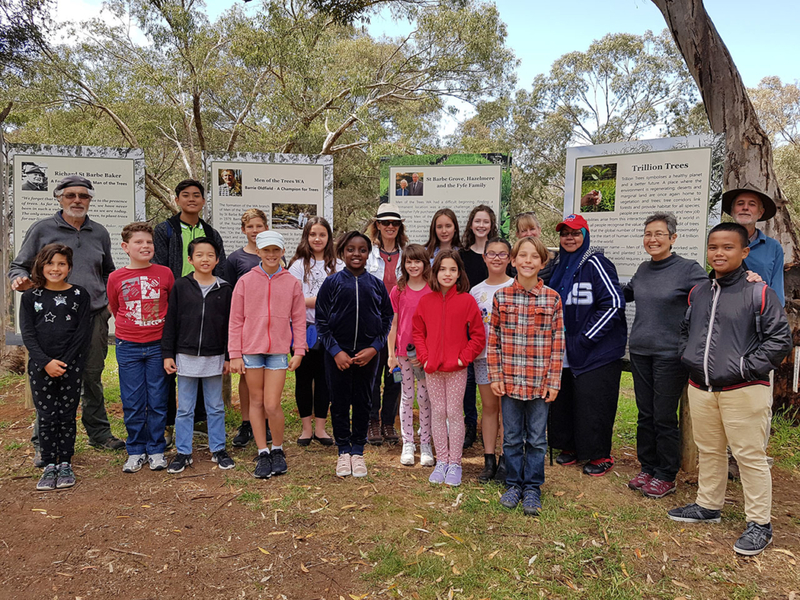 On day three of the UNconference the participants met the Mayor of South Perth, Sue Doherty, at the South Perth foreshore and talked about Council efforts to increase and protect canopy. Participants checked out Milyu Nature Reserve and heard of the beginnings of the Green Teams Programs. The team also visited our Green Lab collaborators, Trillion Trees, and did a site visit to their nursery in Hazelmere to find out about seed collection and propagation. “Kids are keen to solve deforestation problems, they are worried about loss of tree canopy in cities so a visit to Trillion Trees was inspiring. It was wonderful to meet the Millennium Kids and All Saints team, to share ideas and develop plans for future collaborations,” said Sharifah. Millennium Kids holds an annual three-day UNconference to share ideas about environmental challenges and develop change making projects. For more information about the MK23 UNconference email info@milleniumkids.com.au for an information pack.